Published: Dec. 4, 2016 at 06:42 p.m.
Pittsburgh Steelers tight end Ladarius Green reels in 20-yard pass for a touchdown. 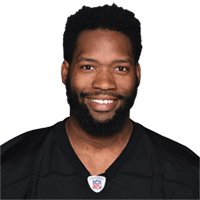 Published: Dec. 4, 2016 at 05:01 p.m.
Pittsburgh Steelers tight end Ladarius Green picks up 37 yards on deep reception. Published: Nov. 24, 2016 at 11:07 p.m.
Pittsburgh Steelers QB Ben Roethlisberger finds tight end Ladarius Green deep for 35 yards.